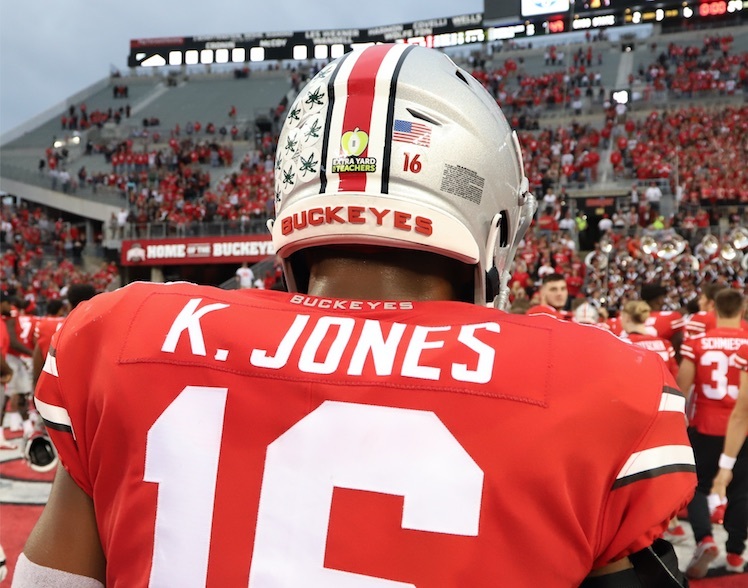 Ohio State junior linebacker Keandre Jones has put his name into the NCAA’s transfer portal. First reported by the SEC Network’s Cole Cubelic, The-Ozone has confirmed that Jones’ name is listed in the portal. Jones, a former 5-star signee out of Olney, Maryland, was once committed to the Maryland Terrapins. Following the firing of then-head coach Randy Edsall, Jones and former Buckeye quarterback Dwayne Haskins decommitted on the same day, flipping to Ohio State in the process. Jones played in five games as a true freshman in 2016, and then in every game in 2017. He spent each of those first two years as the backup to current Miami Dolphin linebacker Jerome Baker. Jones played in every game the last two seasons, with most of it coming via special teams. Jones finished with 10 tackles this past season, including a sack and a safety. A leader of the special units, Jones is well-respected among his teammates and former coaches. Looking to transfer is not a big surprise for Jones, however, as he is currently one of the backups to rising senior Malik Harrison. Harrison has led the Buckeyes in tackles the past two seasons. If Ohio State molds their defense more in Michigan’s image with a hybrid safety/linebacker, there may also not be as many linebackers needed. Transfers during this offseason are expected, as they always occur with coaching changes, and the Buckeyes have had plenty with the change from Urban Meyer to Ryan Day. Without Jones, the Buckeyes still have a good number of linebackers to turn to regarding depth, special teams, and starting competitions. As to where Jones might end up, it wouldn’t be a surprise to see him head back home to Maryland under new head coach Mike Locksley, who is very well known and well liked by everyone in that area. I guess we need to wait and see how the LBs perform under the new coaches. Just need to remember Everett Withers. Good coaching can elevate average talent same as poor coaching can make elite talent look average. I am betting that it was poor coaching. He will be sitting out a year. Hopefully he is ready for that. The NCAA needs to shut down the easy transfer and play stuff. I really liked what I saw out of Jones in the limited time he got. You could tell he was good at the point of contact and had good speed. 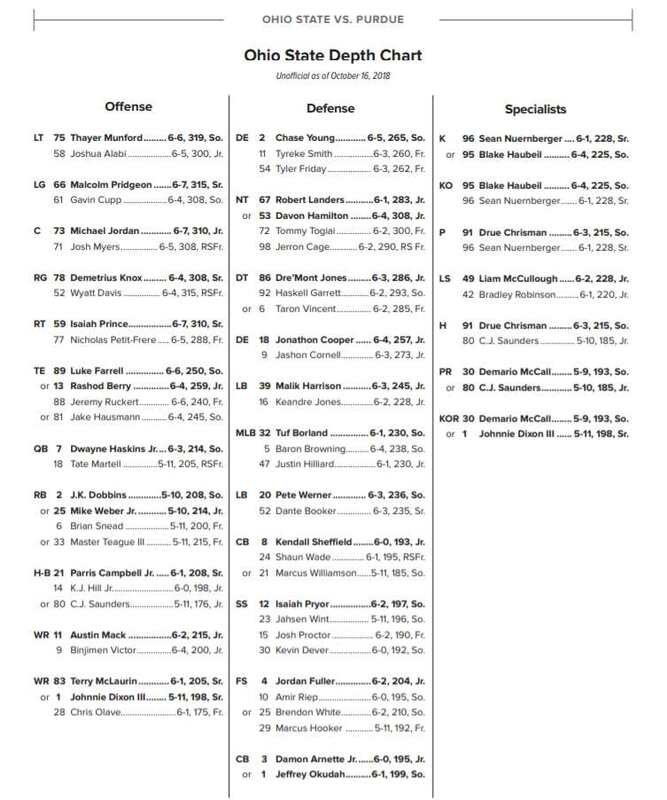 There is no one who can convince me Jones and the other LBs weren’t disheartened by being made to sit behind Borland and Werner notwithstanding the fact that both of them were just downright awful and likely the worst LB duo OSU has ever fielded. I am not sure what was up with the Borland/Werner thing… but addressing that favoritism (because that is all it could have been) will be huge for Day. You cant claim to have a culture built on competition and best man play with those two out there. Under Meyer players with the longer tenure were always given the edge concerning playing time. Hopefully in the future under day the “best” player no matter the senority will b given the job. I truly believe that in 2017 if Meyer had benched J.T. Barrett in favor of Dwayne Haskins in that Iowa game that we’d b talking about a national championship for the Buckeyes. We need look no further than the results of Alabama winning in 2017 and Clemson in 2018 to see the merits of my argument. Oh, my! Seems the Buckeyes are in “portal” danger again. Once more we can opine to our hearts’ content, but I would trust the coaches who deal with these kids day in and day out, rather than my own judgment about what’s going on in the locker room and on the practice fields. Best of luck to Keandre Jones, wherever he lands. Good luck to Keandre. Perhaps he had frank discussions with the incoming defensive coaching staff about his playing prospects and was told that he was behind other players. (Or maybe even more likely, he was promised more playing time at another school). Either way, I hope he succeeds. This was one of the maybe’s my buddy discussed with me. That’s really too bad. There was no competition at the linebacker position……..at all for the last 2 years. Schiano and Davis wouldn’t allow it because of their pets. It’s still really disappointing to see a linebacker who was clearly better than 2 of the starters leaving. There has been competition. In 2017, Tuf Borland took the MLB job from Chris Worley. Of course, that was due to Worley’s foot injury. I’ll see myself out. Delete my comment. You can only blame the coaches so much and so long before you have to put the weight of bad performance on the players. I’ll agree on Bill Davis being the worst LB coach ever. I think Schiano was often stuck trying to fix all those position coaches follies and he wasn’t able to just do his job.